I am looking forward to December this year and not just because of the holidays, but this December will be the end to a decade of financing dependents in college. What happened to completing a degree in 4 years? Many students are finding that applying to graduate school is the only way to obtain that position they really want. So, as parents, how much do we contribute to this financial obligation? 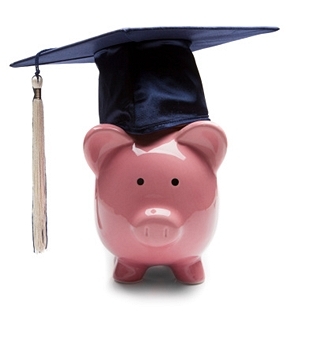 Your child’s college tuition could be one of the largest expenditures you ever make. And if you have more than one child, the financial commitment is even greater. According to The College Board, the average 2012-2013 tuition increase was 4.2 to 4.8 percent. The ten-year historical rate of increase is approximately 6 percent. This is a rate much higher than inflation and most increases in personal income. So, the question remains, how will you finance this investment? College and retirement should be part of the same financial plan, but you should expect some trade-offs as you try to balance these goals. Fortunately, there are more options now than ever before to pay for college expenses. One of the best ways is to take advantage of federal saving plans and tax credits. You may even need a financial advisor to help you find the saving programs that work best for your financial situation. The important thing is that it is possible to meet these two major financial responsibilities. Have a conversation with your child about paying for college as early as possible. By setting expectations early, it can save both of you a lot of grief later. Consider in-state colleges, the savings will be substantial. Many bordering state colleges offer scholarships and/or tuition waivers. There are actually six colleges that offer free tuition in exchange for work or other agreements. Your child may have to borrow money for college and it’s not that they shouldn’t contribute to the expense, but a college education can be as costly as buying a home. Not many of us want our children to start out with such a substantial debt. However, there are no grants, scholarships or federal loans to support you when you retire. There isn’t a plan that fits every family. Programs and investments will continue to evolve, tax laws will change, and so will your own circumstances. Review your financial situation periodically and make adjustments when needed. And finally, when your high school student tells you their chosen degree requires a doctorate, be prepared, they might actually pursue it. Dena Dye is an associate at Wallace Engineering, a structural and civil engineering consulting firm. She can be contacted at info@wallacesc.com. Follow us on Twitter (@WallaceEng) for blog updates.